"Thanks to you and the team for all your hard work. We are really pleased. 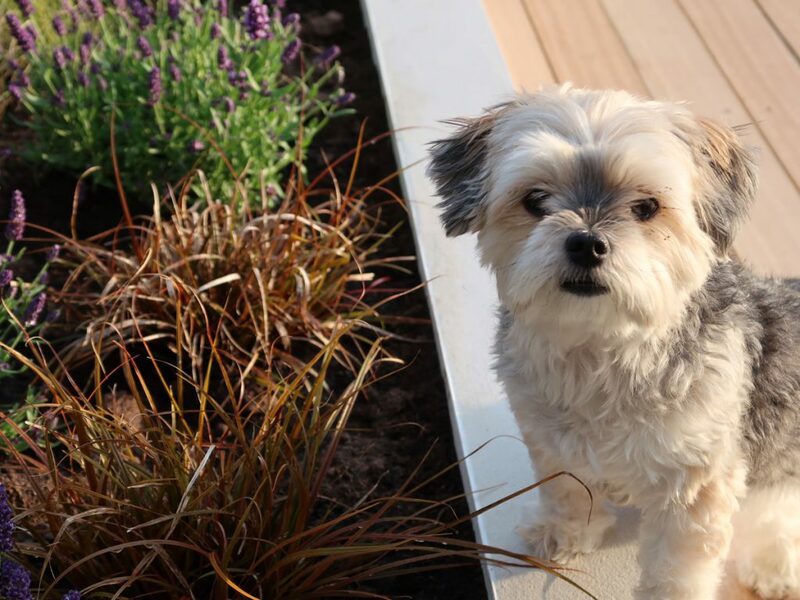 Murray is absolutely delighted with his new garden and has been playing in it all day. Mavis the dog has taken a particular liking to the bench!" 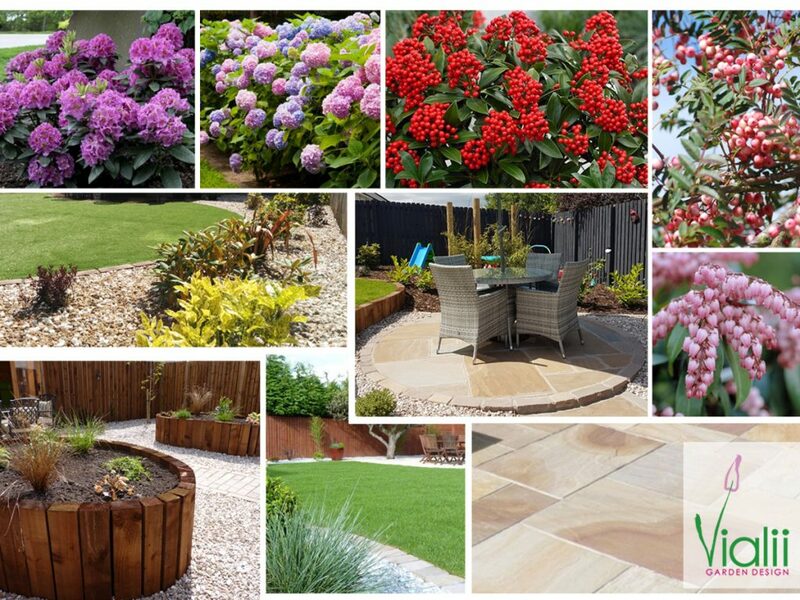 A new patio laid in grey “Promenade” sandstone creates a cool, contemporary look to the garden. Long, raised beds were given a smooth rendered finish and planted with a mixture of grasses, herbs and herbaceous planting. 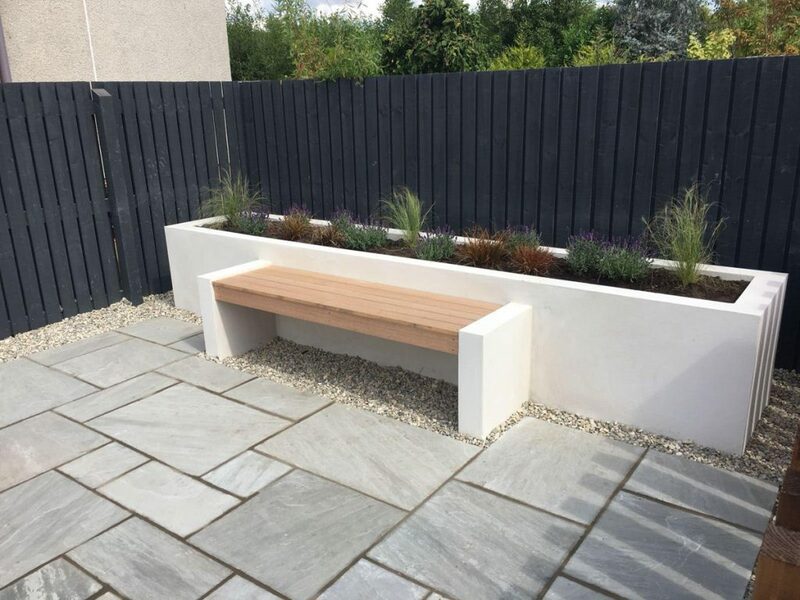 A new hardwood seat was built in to create a lovely modern bench. Space was created in the patio for the client to place a pizza oven. Surrounding the patio are chunky sleepers set vertically to create a modern outdoor room. The paving continues around the garden creating wide welcoming paths and allowing easy access and plenty of space for the young family to play on bikes. A new lawn was laid with drainage installed beside the path to make it more usable year round. The surrounding borders were filled with contemporary, low maintenance shrubs such as bamboo, phormium, amelanchier and cotinus and given a bark finish to reduce maintenance. A wide range of grasses were added to continue the contemporary feel including stipa, carex and uncinia. Space was allocated for plenty of play equipment to be added for the young family to enjoy. 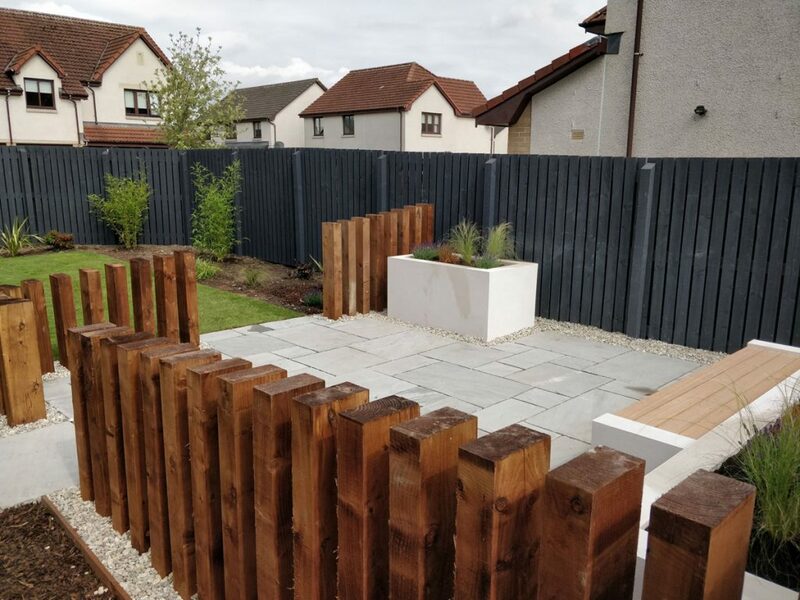 The boundary fences were all painted slate grey to create a contemporary look. 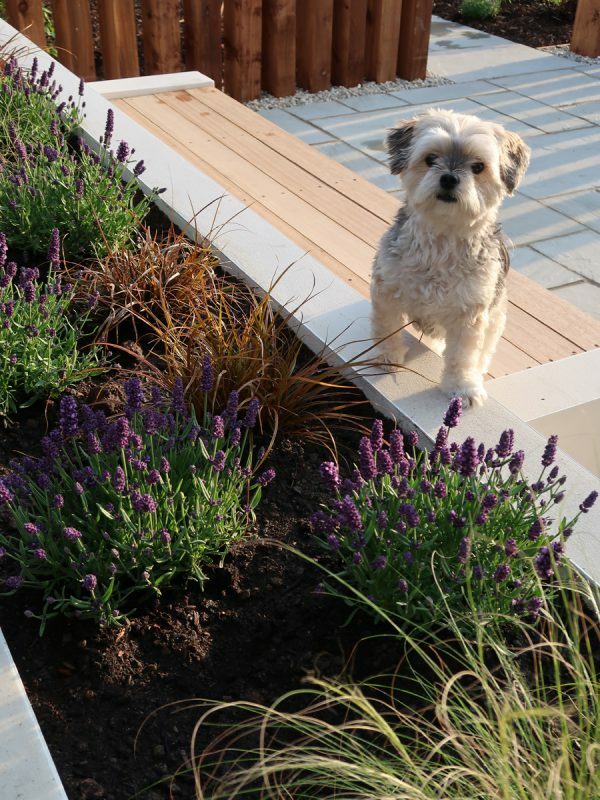 Maisie checks out the new planting scheme! 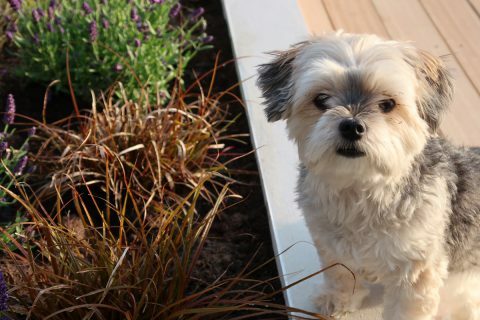 Every new garden should have a Maisie!